George Barclay joined the Territorial Army early in 1939 as a 15 year old, having put his age up to 19. When the war broke out he and his unit were mobilised and he became a regular New Zealand Army soldier. However he hated the Army lifestyle and in 1940 he volunteered to switch to the Royal New Zealand Air Force. 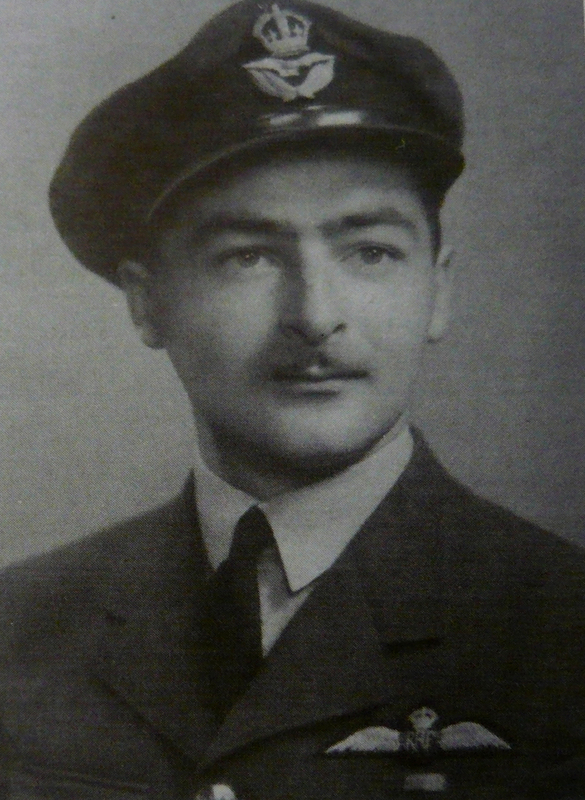 In 1941 he was among the first RNZAF trainees to go to Canada where he flew the Cessna Cranes at Saskatoon. He remembers a very close scrape with tragedy there. On arrival in Britain he underwent an Operational Training Unit course on Handley Page Hampdens and Vickers Wellingtons, before he was eventually posted to No. 142 Squadron, then No. 150 Squadron at RAF Kirmington, flying Wellington 1C’s before he was commissioned and the authorities discovered his true age, so he was taken off operations for months till he was old enough for ops. He was returned to operations with No. 106 Squadron which was flying the Avro Manchester, but he managed to avoid flying this type on operations and was again posted to No. 166 Squadron back on Wellingtons. On the night of the 8/9 April 1943 George and his crew were forced to bale out of their stricken Wellington over France, having been hit over Duisberg and losing the engines. This was George’s second parachute descent from a Wellington, and he describes both in detail. He was taken as a Prisoner of War by the Germans and after interrogation at Dalag Luft he was sent to Stalag Luft 1 near Barth, Western Pomerania, Germany. During 1944 he was sent on to Stalag XI-B at Fallingbostel in Lower Saxony, in north-western Germany. There he was appointed as Senior British Officer as he was able to speak German and could interpret for the other prisoners. George talks in detail about life in the camp, and his escape from the prison in December 1944 that saw him back in England by January 1945. He also talks about other aspects of Bomber Command life, such as laying mines near the U-boat pens. For many years George and his wife Marian have worked tirelessly for veterans’ welfare for the Returned and Services Association in Northland. They live in Whangarei. The tune heard in this episode is A Lark Ascending, by Ralph Vaughan Williams. The interview ends somewhat abruptly because at the time that video tape ran out, and so that is all there is I’m afraid. 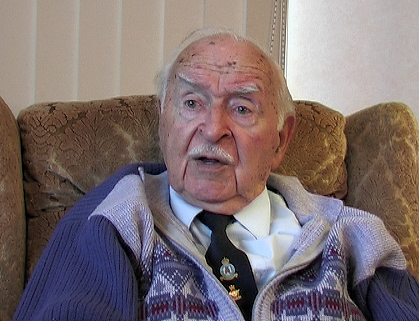 Above: F/Lt George Barclay during WWII, and in 2010 during the interview. My father died at the age of 50 surviving the war as George has .